Spain’s WWE SmackDown Report and Results for August 15th 2014: Wait, SummerSlam’s This Sunday? A slow RAW with a typical but hot finish. What was the purpose of moving Battleground up, again? HUGE Raw after a lackluster Battleground. Spain’s WWE SmackDown Report and Results for July 18th 2014: Did We All Forget About Battleground? WWE Battleground Rasslin' Roundtable; What did the writers have to say? Chris makes up for his lateness with double the amount of EVERYTHING. We say goodbye to yet another Superstar while Bad News Barrett and Ziggler have a great match. 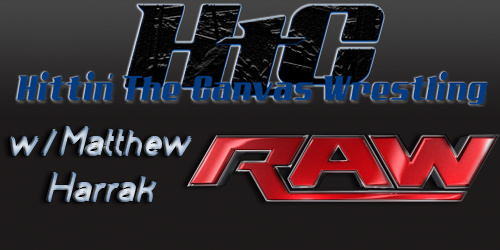 WWE Monday Night Raw Preview for Monday 06.23.2014 – Who Will Join Seth Rollins in the Traditional Money In The Bank Contract Ladder Match? Plus It’s the MITB Go Home Raw! Distracted by smoke and mirrors when we should've looked to the stars.